A Closer Look At The New Superman Suit. | The Cineaste's Lament. ← Darth Vader Goes All Emo in Star Wars Blu-ray Editions. A Closer Look At The New Superman Suit. 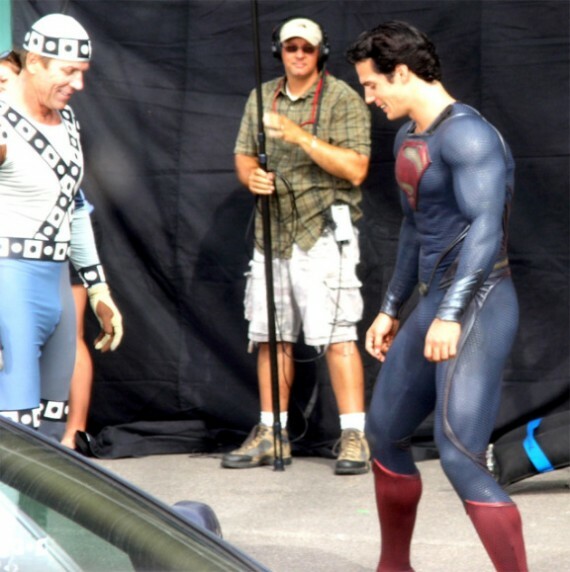 Courtesy of ScreenRants, here’s a closer look at actor Henry Cavil in the new Supes suit. Fanboys are already ranting about the fact that it leaves out the red briefs. This should provide even more fodder for debate. This entry was posted in Film News, Sci-Fi, Sequel-Itis, Spoiler-itis, Summer Blockbusters, Superhero Cinema and tagged Henry Cavil, Man of Steel, Superman, Zach Snyder. Bookmark the permalink.